A Very welcome to my gig! 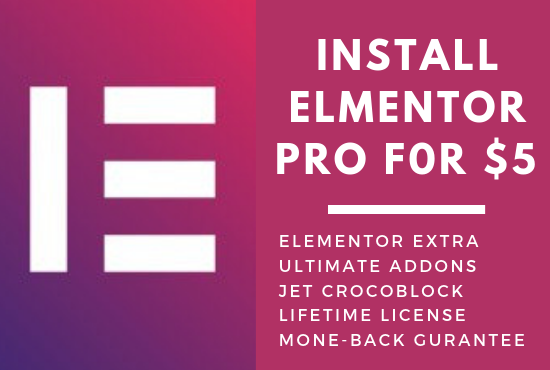 Elementor is the new kid on the block, it has quickly become one of the most popular, visual page builders for WordPress, and it continues to grow at a rapid pace.Since it’s release in mid-2016, Elementor has had over 2 million installs and an impressive 4.8 star rating on WordPress.org. The order will be delivered in 60mins. If you don't like it I'll refund your purchase. No questions asked. Please discuss before placing the order to avoid cancellation and also clear confusion.